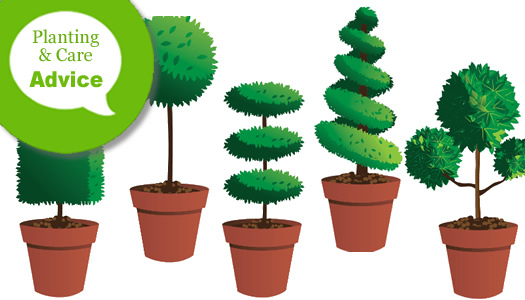 First, so you'll know, this article is not about creating a topiary plant from scratch. 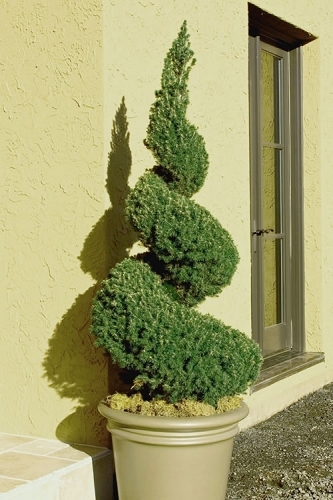 Instead, it's about the easy part: how to trim an existing topiary plant to maintain its original shape. So you were shopping on Wilson Bros Gardens or you were at your local nursery and garden center and saw a spiral, pom pom, poodle tier, or other interesting topiary plant and thought it was so cool you just had to have one. And you'd be right, living topiary plants are cool. So you got home and planted it and now it's 6 or 8 months later and your topiary plant isn't so cool anymore. New growth emerged and now what was once a perfectly sculpted spiral is looking a bit shaggy, like it's sprouted a beard. You'd like to trim it but you're afraid to touch it for fear of destroying the shape of the plant...or the plant itself. 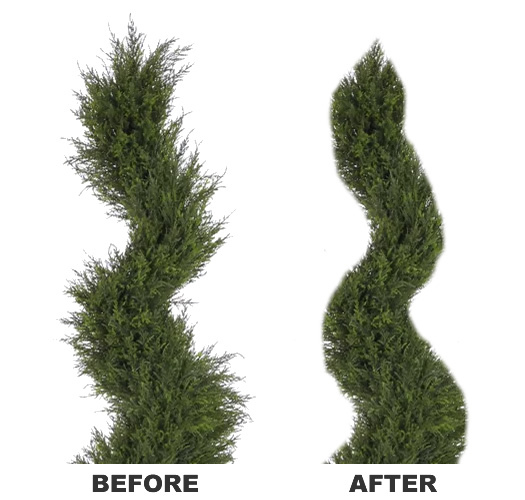 No problem, continue below to find helpful tips that'll have you trimming topiary plants like the pros so you can keep them looking like they did when you first brought them home. Trimming a topiary plant is fairly straight forward. That said, there's some things you should consider before beginning. When and how often to trim? How often you trim your topiary plants will depend on climate, fertilization and the typical growth rate of a specific plant species. A privet plant grows at 10 times the rate of a boxwood. Faster growing species will require more frequent trimming. 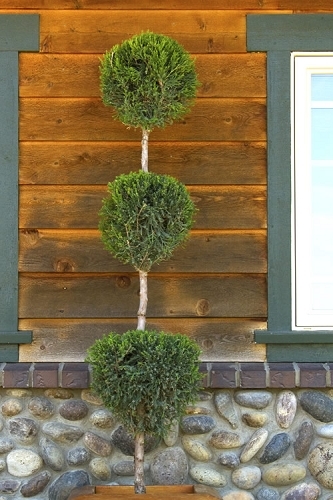 Bottom line, trim your topiary plants as needed to keep them looking nice. Caution: To avoid damaging new growth that could be damaged by an early frost, cease all trimming of you topiary plants two months prior to the average first-frost date in your area. 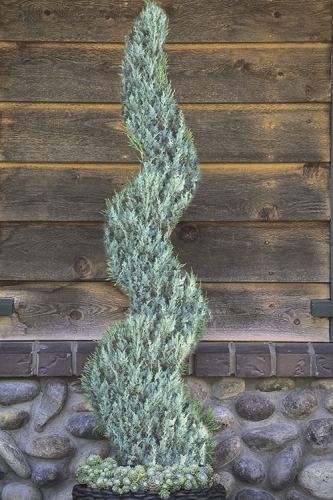 Before trimming your topiary, take some time to study and examine the plant you intend to trim. Look beyond the shaggy surface growth and put in your minds eye the original shape of the topiary. 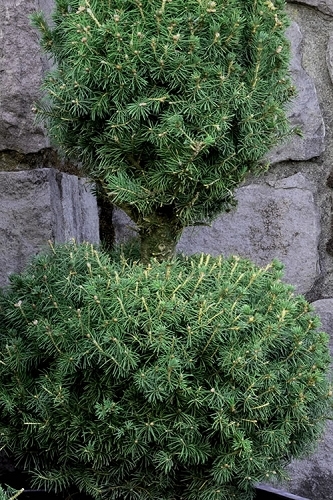 While studying your topiary, if you see any damaged or dead parts cut these off with a sharp pair of pruning shears. You can and should remove damaged or diseased plant parts as they occur. 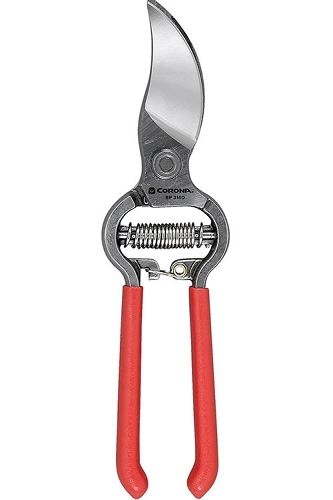 Note: If a plant part looks diseased, to prevent the spread to other parts of your topiary plant, it's a good idea to dip your pruners into a solution of alcohol. The advantages of alcohol (ethanol or isopropyl) to sanitize your gardening tools is that it is instantly effective and can be used as a wipe, and you don't have to rinse the product off. To disinfect your tools with alcohol you can either wipe or dip them in a solution that is 70–100% alcohol. 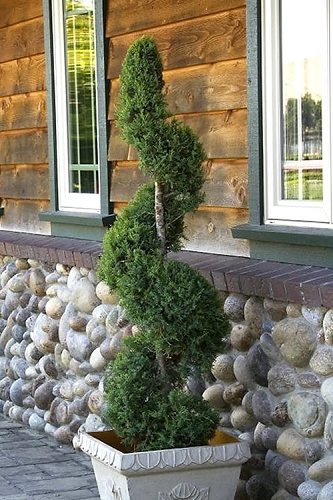 Before giving your topiary an all-over trim, determine if you are going to trim the plant back to its original size and remove all new growth, or whether you want to allow your plant to keep some new growth to increase its size. 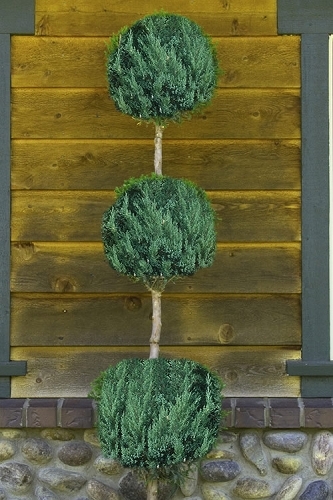 Start trimming your topiary plant from the top down. 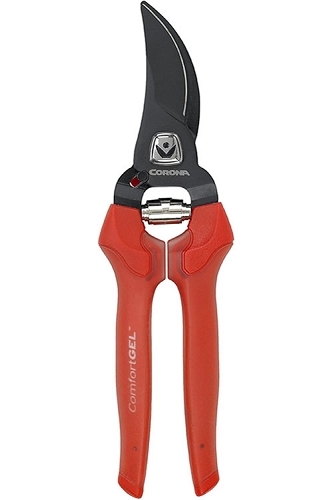 To trim, I use a sharp pair of bypass hand pruners or clipping shears to trim back the new growth to desired length. For example, your plant may have put on 4 inches of new growth since you bought and planted it. If you want to allow it to increase in size you might only trim off 2 inches of the new growth. Tip: When trimming, avoid using long-bladed hedge trimmers or hedge shears which might not allow you to cut properly from various angles. 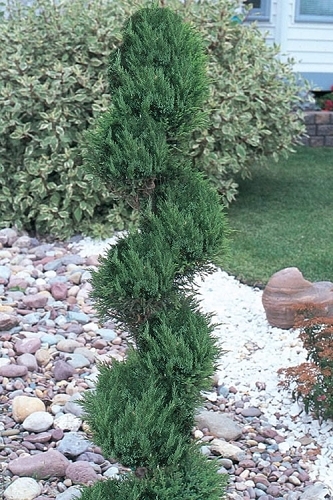 If the soil is dry, water your topiary plant after you finish trimming it. If you accidentally cut too much foliage away; beyond the point of green growth, don't worry too much about it. The trimming usually stimulates new growth that will fill in quickly. 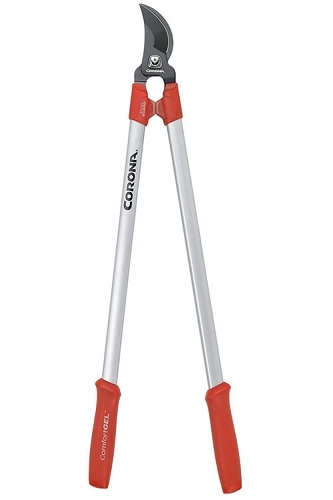 Keep the blades on your trimming tools as sharp as possible so as to make clean cuts that won't brown the foliage and stem tips. If possible, prune topiary trees on a cloudy day, or in the late afternoon if you live in southern California:-). Too much sunlight on freshly cut branches of some plant species can cause the leaf and stem tips to turn brown.